In 2010 Miles returned to painting after a fifteen year hiatus during which time he carved out a successful career as an illustrator. 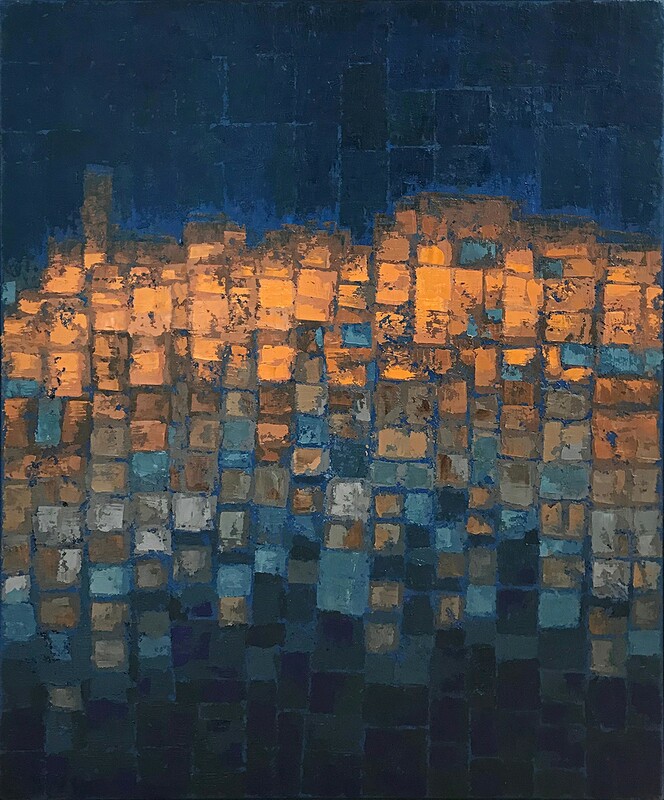 His work is rooted in the tradition of British and European post-war Modernism particularly abstract painting, drawing inspiration from various sources such as coastal landscape, the city and its architecture and geometric design. The interconnecting lines found in these are a catylist for what then becomes a sensual engagement with the materials - deconstructing and reconstructing shapes into various compositions until a point of departure from the subject matter has been reached. Miles, born 1965, studied Fine Art at Gloucestershire College of Art & Technology and gained a BA(Hons) in Fine Art. In the late 80s he studied at the Chelsea School of Art in London where he gained his MA in Fine Art. During the mid 90s to date, Miles has had many solo and group exhbiitions throughout the South of England, Cotswolds and London.